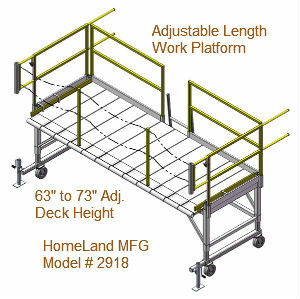 Adjustable Maintenance Stand, Heavy Duty with Casters. 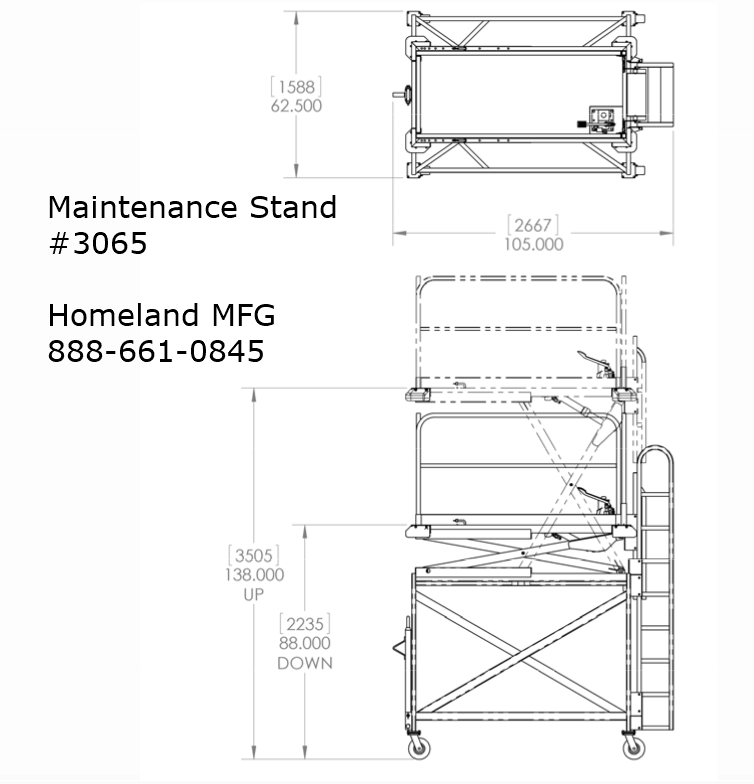 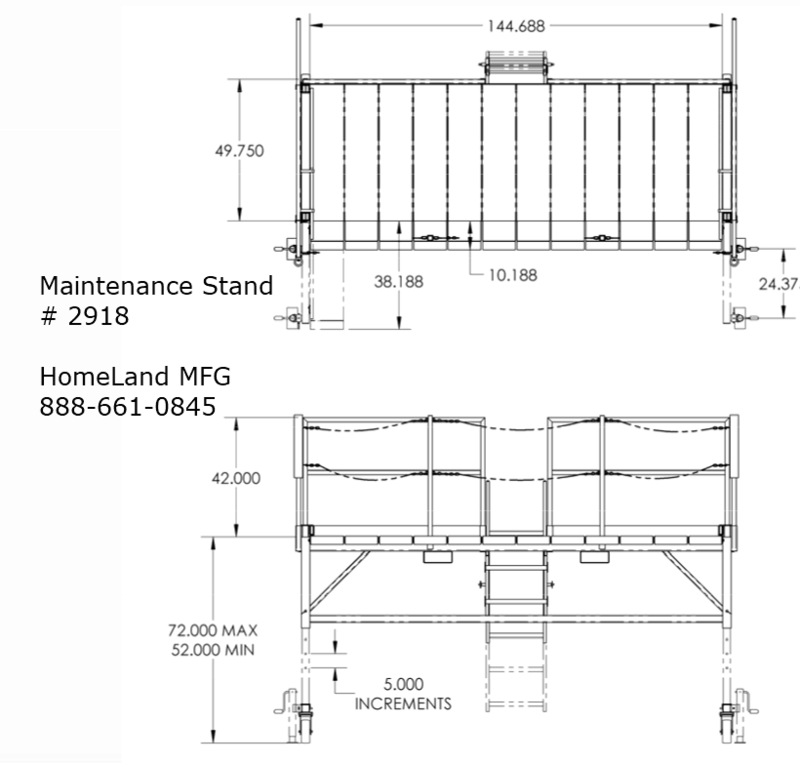 Maintenance Stands need to be mobile, adjustable, have large work areas and have SAFETY in Mind. 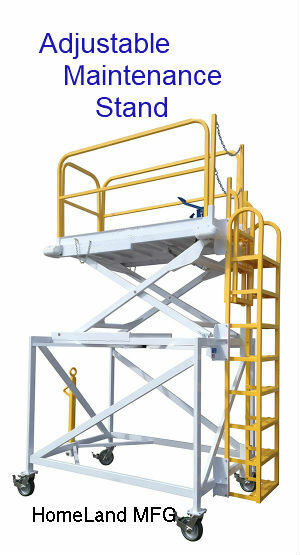 These 500lb and 1,000lb capacity mobile work platforms are available in two standard sizes.